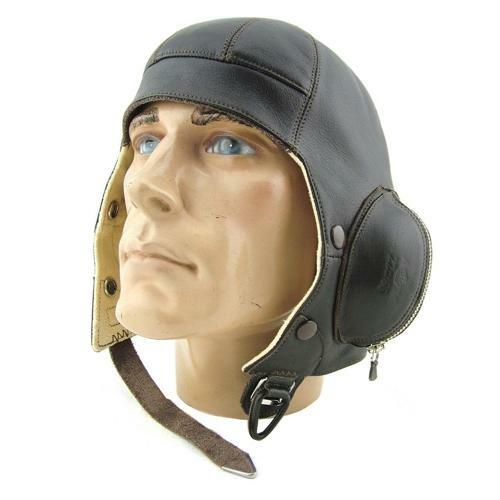 RAF B-type flying helmet produced by Sefton Clothing and the same as those supplied to museums and for film productions such as 'Dunkirk' etc. Size 3 (71/8 - 73/8). The attention to detail is excellent with leather covered 'Bennett' style buckles, Air Ministry embossed zipped earpieces with rubber receiver carriers inside and 'Wareings' style label. Fitted with an excellent original set of RCAF cushions to fill out the earpieces. Sold unwired. The helmet is in superb 'as new' condition and ideal as a gap filler or for re-enactment purposes when you wouldn't want to risk wearing the real thing. Stock code H23258.